Food plots are overrated. There, I said it. But before you start typing up the hate emails or blasting me on social media, let me clarify a few things. First, I enjoy planting food plots, and I’ve had some great hunts on or near food plots. Second, food plots do have their place in a property’s overall deer management plan. The problem is that many land managers put all their focus and efforts on planting and maintaining food plots at the expense of more beneficial wildlife practices. Before we jump into some of these other recommended practices, let’s take a quick look into some of the limitations of food plots. We’ve been sold on the idea that food plots are what it takes to grow big bucks. But is there more to the puzzle? Most deer hunters don’t have the time or resources to plant more than a few acres of food plots every year. And while even a small plot can serve as a place to ambush a deer, it won’t improve the overall health of your deer herd. Even if 10 percent of your overall acreage is planted to food plots, if that’s all you’re focused on, then 90 percent of your property is likely not reaching its full potential. Another down side to food plots is that on a per-acre basis, they are fairly expensive to plant and maintain. With up-front costs like lime, fertilizer and seed, as well as maintenance costs on things like herbicides, the investment in even a small plot can be high. There is also the need for necessary equipment to plant and maintain the plots and fuel to run that equipment. Disking in openings and edges are often all is needed to stimulate the growth of early successional habitat. Most food plot species are only available for a limited period of time during the course of a year. Spring-planted plots typically provide forage during the late spring, summer and early fall, while fall-planted forages provide food in late fall, through the winter, and into spring. To have food available year-round in a plot, you have to double plant or plant multiple plots. Then, once those food plots have run their course, it’s time to start all over. Perennial plots like clover can extend the overall life of your plot, but they will still require regular maintenance — mowing, herbicide treatment and fertilizer — to provide maximum benefit. It was due to these limitations that in my former job as a public lands manager, we often steered away from planting a lot of food plots, much to the dismay of many of the WMA users. Public land deer hunters want to see food plots. In many of their minds, if food plots weren’t being planted, then we weren’t doing anything for the wildlife. Actually, nothing could have been further from the truth. But instead of focusing on a handful of food plots that would have provided little benefit to the deer herd and likely would have concentrated hunters, we focused on improving habitat on a larger scale through some of the techniques we will discuss below. Just because you have plenty of acorn-producing oaks on your property doesn’t necessarily mean your woods are providing good deer habitat. If you can look around and see over 30 to 40 yards in every direction, your woods are likely in need of timber stand improvement. Fortunately, this is one habitat management technique that could possibly put money in your pocket rather than having to spend it, but that will depend on how many wooded acres you have to work with, and what type of timber you currently have. This step is best done with the guidance of a licensed forester, particularly one who understands the needs of the wildlife for which you are managing. Your state wildlife agency or forestry department may have someone who can help you with this process at no charge or at a reduced fee. The extent to which you improve your timber for wildlife will depend on your expectations of future timber revenue. Someone who wants maximum financial returns will likely have to take a different, more conservative approach than someone who is completely focused on providing great deer habitat. In the simplest terms, timber stand improvement involves removing trees that are less desirable to deer, and, in some cases, removing inferior individual trees of species preferred by deer in order to open up the forest canopy and provide more sunlight, moisture, and nutrients to the remaining trees. In opening up the canopy, you will also stimulate understory growth, which provides valuable food and cover for deer. Thinning timber allows sunlight to reach the forest floor promoting understory growth, creating additional food and cover for wildlife. Once you have improved your woodlands with timber stand improvement, they would likely benefit from prescribed fire. There are few habitat management practices that can impact as many acres as quickly and as cheaply as prescribed fire. By burning a tract of woods, you remove the leaf litter, which puts nutrients back into the soil and allows sunlight to reach the forest floor, stimulating understory growth. If done correctly, prescribed fire can also knock back hardwood saplings like sweet gum and maple, so more beneficial species for wildlife can take hold. Fire can also be a great tool for old field management, which we’ll discuss in the next section. Just like prescribed fire in a wooded setting, prescribed fire can remove the thatch layer, return nutrients into the soil, and set back woody encroachment. The end result, depending on the timing of the fire, is the promotion of valuable native grasses and forbs. Obviously prescribed fire comes with its own set of challenges and dangers. You need to make sure it is conducted by someone with training and a thorough understanding of prescribed fire and fire behavior. You may be able to get assistance through your local wildlife agency or state forestry department. Prescribed fire is one of the most affordable and efficient ways to impact wildlife habitat. Fire removes leaf litter, returns nutrients to the soil and sets back woody encroachment. Early successional habitat is one of the most beneficial, yet overlooked, types of deer habitat a landowner can provide. Not only does early successional habitat provide high quality, year-round forage, it also provides great cover, which can promote more daylight deer movement. Not every field needs to be plowed and planted to a food plot. A simple herbicide application and/or light disking may be all that’s needed to turn a fallow field into great deer habitat. If you have a large opening and still want to plant food plots, consider breaking up the field into blocks, planting some and promoting early successional habitat in others. One of the biggest suppressers of good native deer habitat are invasive, non-native species. In fields, this may be fescue or bermudagrass. In wooded areas and early successional habitat, it may be honeysuckle, autumn olive, Chinese privet, kudzu or a whole host of other non-native species. You may need to work with a biologist from your state wildlife agency to help you identify the offenders on your property, or at the very least, do some online research to see which invasive, non-native plants you are most likely to encounter in your area. Once you have some of these pests identified, prioritize which one(s) you will tackle first according to the threat they pose and the treatment required. Don’t get overwhelmed if you have have a lot of these pests to deal with. Non-native plant control is a marathon, not a sprint. It may take multiple treatments over many years to get them completely under control. If your woods lack a good variety of hard and soft mast species, then a tree planting may be in order. Before you start ordering trees, take a good inventory of what is currently on your property and focus your efforts on filling in the gaps. If your timber is mostly white oaks, then it may be a good idea to plant some red oak species, or vice-versa if you already have plenty of red oaks and not a lot of white oaks. If you already have a good mix of oaks, but no soft mast species, consider planting trees like persimmons, wild plum, or crabapple to name a few. Sick with native species when possible, and don’t be afraid to contact a local forester or wildlife biologist to see which trees do best in your area. Food plots are fun to plant, and they can certainly improve your odds of killing deer. We spend a lot of time each year planning and preparing food plots. They are beneficial to your deer herd, as well as your opportunities for hunting success. But they are just one piece of the overall habitat puzzle. Don’t get so focused on that one piece at the expense of the others. Instead, work to maximize every acre of your property to provide great deer forage and cover. Plant your food plots. Our friends at Antler King have everything you need to plant and maintain some incredible food plots this season. But don’t miss out on the opportunities to enhance the deer habitat on the property you hunt by the methods mentioned above. In the end, you’ll be much more likely to hold deer on your property, improve the health of the deer that call your property home, and those deer will be more likely to move during daylight hours. And all that adds up to better odds of putting your tag on a great buck. 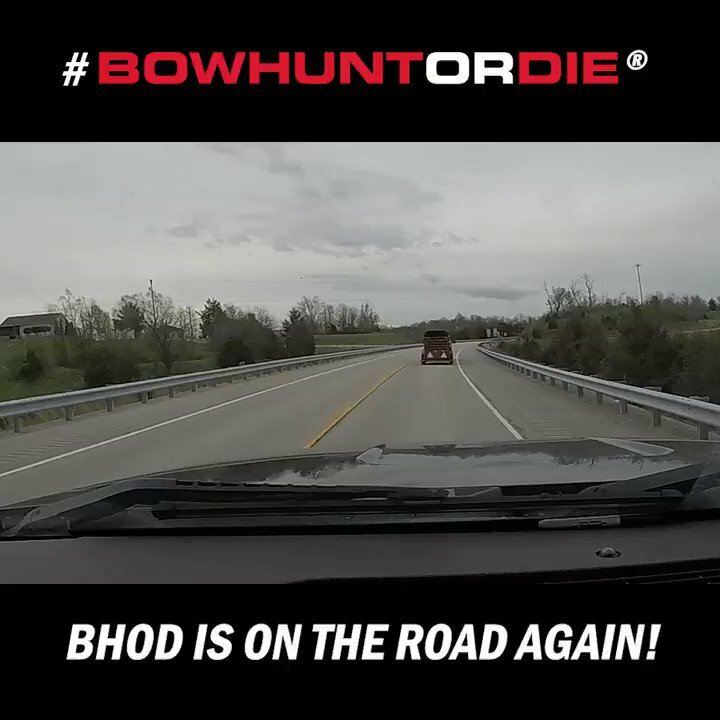 Brian Grossman is an avid bowhunter and competitive archer residing in west-central Georgia. He currently serves as the communications manager for The Quality Deer Management Association and as a freelance outdoor writer. Grossman's background is in wildlife management, where he spent over 15 years working on both public and private hunting lands in Kentucky and Georgia. Never understood food plots. In east central Illinois, we have so many corn and soybean field, hay fields and a good variety of oaks. I’ve hunted with guys that put days of work into plots and don’t see any more deer than hunting our farm with no plots. Also seems like a great place for deer to transfer CWD and other diseases. I’ll put my time in scouting instead of planting plots. Spot on, though in northern zones of cut corn and bean agriculture where fields are comp!etely bare, plots do help. Fall planted winter grains and brassicca such as turnips are a better plotting strategy than spring /summer plots. Good article! 10% of my ground is in food plots and they get eaten down to the dirt no matter what is planted, much of my woods are being timbered by the emerald ash bore (over 200 in a 30 acre woodlot) knocking all these to the ground had provided enough light in and ground obstruction to allow the brows to recover, and now turkey nesting and deer bed instead of just pass thru on the way to food plots and or feeders!